Hollywood production is booming thanks to the newly overhauled California tax credit incentive, according to recent numbers. Fueled partly by a number of high-profile television series relocating to Los Angeles from other states, the so-called “2.0” version of the incentive program has generated a 24% uptick in local production days for TV dramas in the third quarter of 2015, enough to keep local industry vendors busy. Read more about it in the Los Angeles Times. See all incentive programs across the country in our interactive incentives map. A negotiating unit for below-the-line crew members reached agreement with the AMPTP on a tentative new three-year deal covering film and television production in Los Angeles, it was announced today. Neither IATSE nor the studios are releasing terms of the new Hollywood Basic Agreement as of yet. If approved by the union membership, the pact will go into effect August 1, 2015, just after the current agreement expires. Early resolution of contract talks can give local production a shot in the arm, as producers and financiers avoid the worry of any work stoppage in the near future. “I am pleased we were able to reach an agreement that provides industry stability and meaningful terms and benefits to the membership,” said IATSE International President Matthew D. Loeb. The negotiated deal will next be sent to the IATSE national board for approval. If it passes there, the next step would be member ratification vote. New Mexico is looking to extend and enhance the production incentives that have attracted such television heavyweights as Breaking Bad and Better Call Saul, along with countless feature films. Two new pieces of legislation were passed by overwhelming majorities in the state’s two lawmaking bodies; one would extend the 30% TV incentive to stand-alone pilots, while the other would allow production companies to pre-assign their production rebates to a third party. The second bill is significant in that it allows smaller players and one-off productions to receive a fuller return on the incentive. Since it’s a cash rebate and not a credit, pre-assignment would enable producers to fund their projects at 100% of the value of the incentive. The bills will next go to Governor Susana Martinez for signing. Story first reported at Deadline Hollywood. It’s no secret that television has been giving features a run for their money in recent years in terms of critical praise and bragging rights. The 2015 Golden Globes proved to be truly groundbreaking in a whole new way though, as two of the biggest television awards were given for a show that has never seen a traditional airwave. 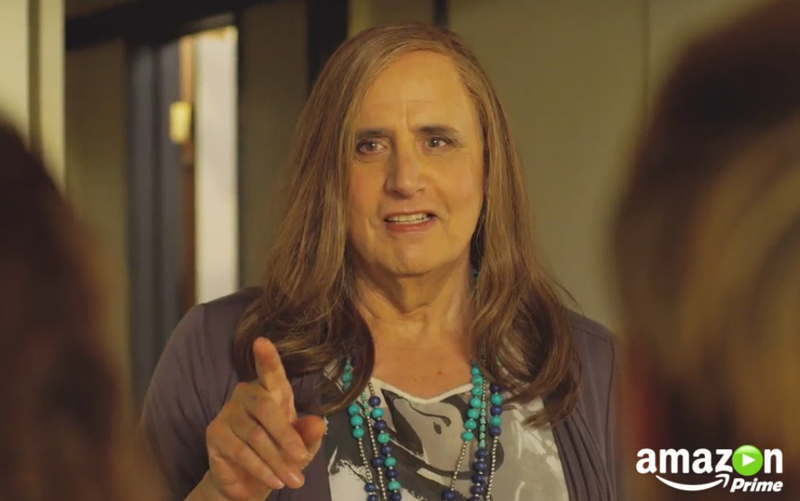 Amazon Studios chalked up the first major streaming crossover win with Transparent, which took home Winner of Best Comedy and Musical Series and Best Actor in a TV Series, Musical or Comedy for Jeffrey Tambor. While streaming stalwarts like Netflix’s House of Cards and Orange Is the New Black have struck Globe gold before for performances (indeed, Kevin Spacey won for Best Actor in a Drama Sunday night as well), none has taken one of the coveted “Best Series” awards until now. Kudos to our friends at Amazon for taking a leap not only in becoming a front runner in the world of original programming, streaming or otherwise, but on taking a chance with the choosing of atypical topics… which paid off Sunday night in a big way. Read more about the Transparent wins and the streaming revolution at NPR.